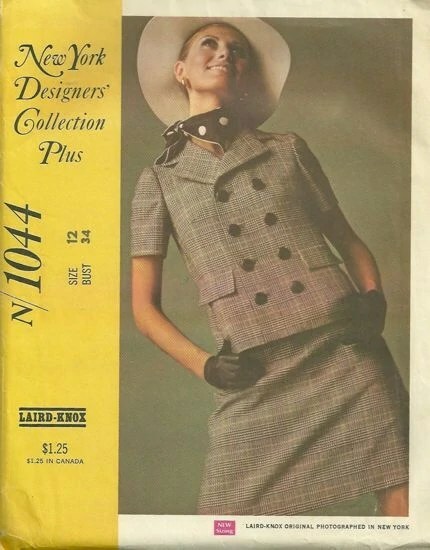 McCall’s 1044 by Laird-Knox (1968) Image via the Vintage Patterns Wiki. 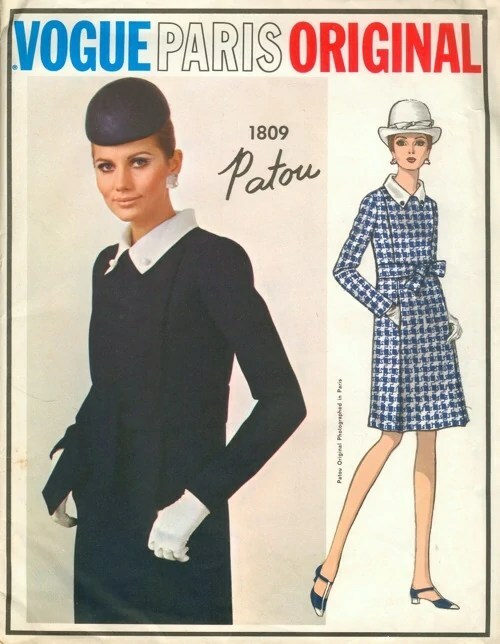 Vogue 1809 by Patou (1967) Image via the Vintage Patterns Wiki. Vogue 2004 by James Galanos (1968) Image via Stitches and Loops. 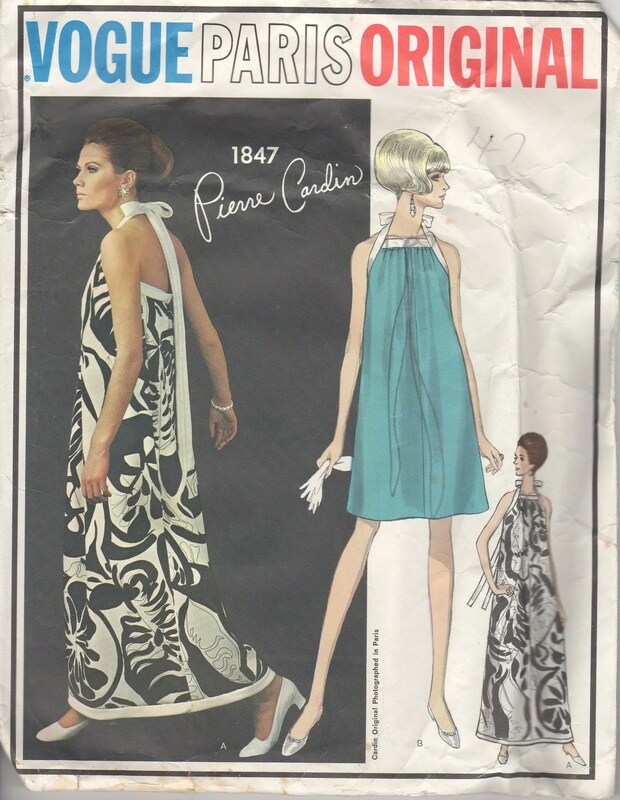 Vogue 1847 by Pierre Cardin (1967) Image via Etsy. Vogue Pattern Book, August/September 1967. Image via eBay. Vogue Pattern Book, February/March 1968. Image via eBay. 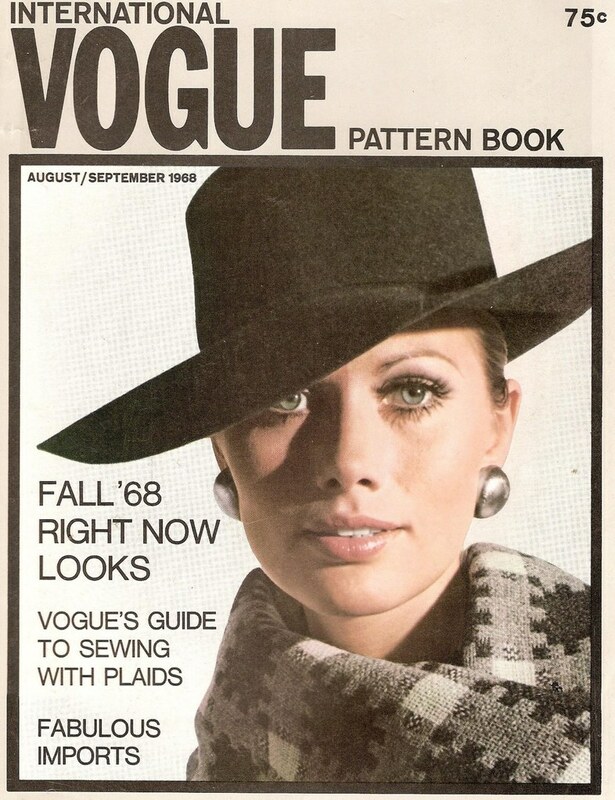 Vogue Pattern Book, August/September 1968. Image via flickr. I love learning more about the models and illustrators on these fabulous patterns. Since I have thousands I see the same faces and art over and over but it’s hard to find out much about them. Now I know about Ms. Adams I’ll look for her and give credit when I can. look at those lashes in the last photo. I’m new to the “history” of a pattern’s design but it seems like many famous models and actresses started off on a pattern.